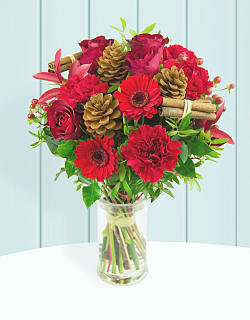 The holidays are all about love, joy, and spending time with those closest to you. 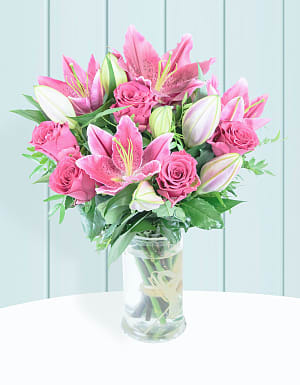 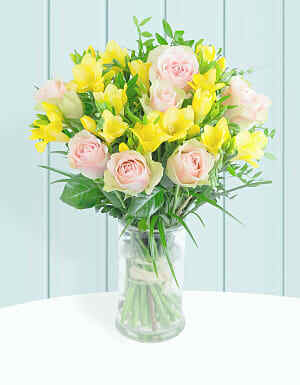 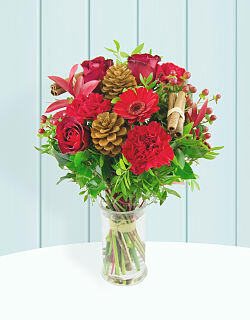 When you send fresh flowers for Christmas, you can be sure that the recipient will be filled with plenty of joy. 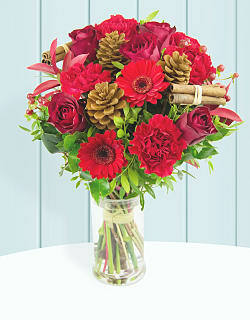 For this bouquet, we have selected Rudolf red roses, gerberas, and cinnamon sticks for that final festive touch. 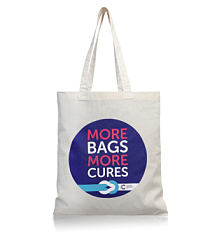 Holiday Happiness has been added to your basket.